8th Annual Pints n' Paws Craft Beer Festival! 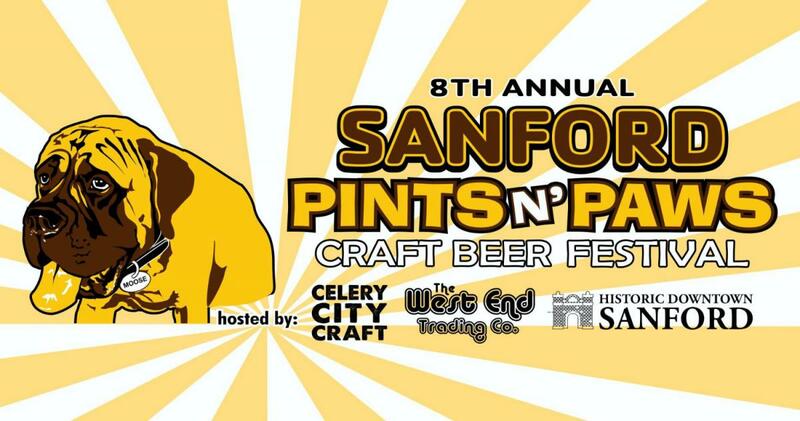 Located in beautiful Historic Downtown Sanford (in between West End Trading Co. and Celery City Craft), Pints n' Paws Craft Beer Fest Sanford, FL is a craft beer festival that you bring your dog to. Enjoy a multitude of beer, interact with other pet lovers, and most importantly help raise funds for local pet do-gooders Dolly's Foundation and Pet Rescue by Judy! VIP's get early entry, a commemorative t-shirt, and a koozie! 11am check in for VIP's and 1pm sampling begins. Check in for general admission starts at 1pm, with sampling beginning at 2pm! Event hosted by A Mediocre Time with Tom and Dan!!! Food trucks organized by Kona Food Truck Luaus (stay tuned for the lineup)!